Everything you need to know to get ready for today’s home match versus C . It’s the first game of a new era: We Are Steel! Steel FC ventured internationally last weekend and came home with three big points after defeating FC Montreal 1-0. FC Cincinnati is 0-1. 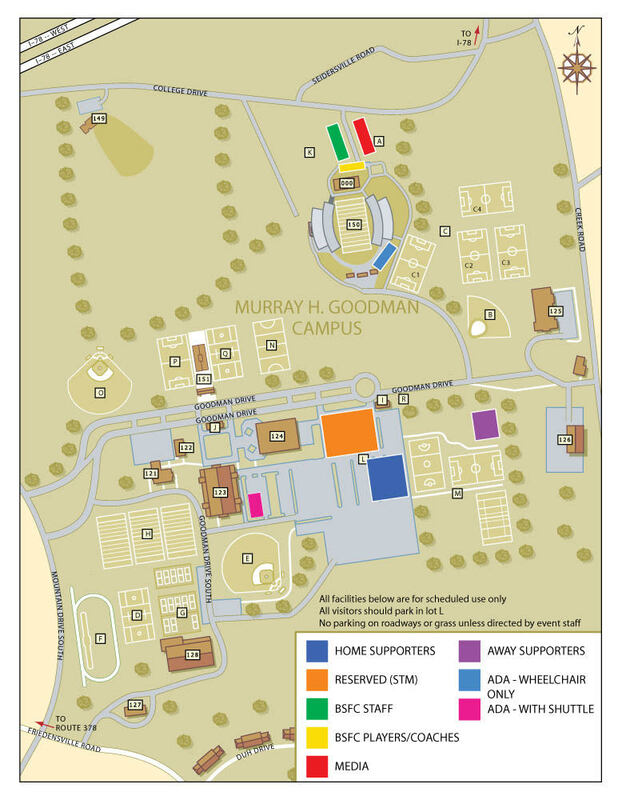 Much of the tailgating and pre-game partying will occur in the dark blue lot above, labeled “Home Supporters” beginning at 12PM. The East End Army is hosting, details HERE. Join the East End Army HERE. Stand with them in The Forge, section WA below. “Fan Fest” is available outside the gates starting at 1PM. Gates open at 1:30PM. Beer will be sold at the main concession until the 70th minute. 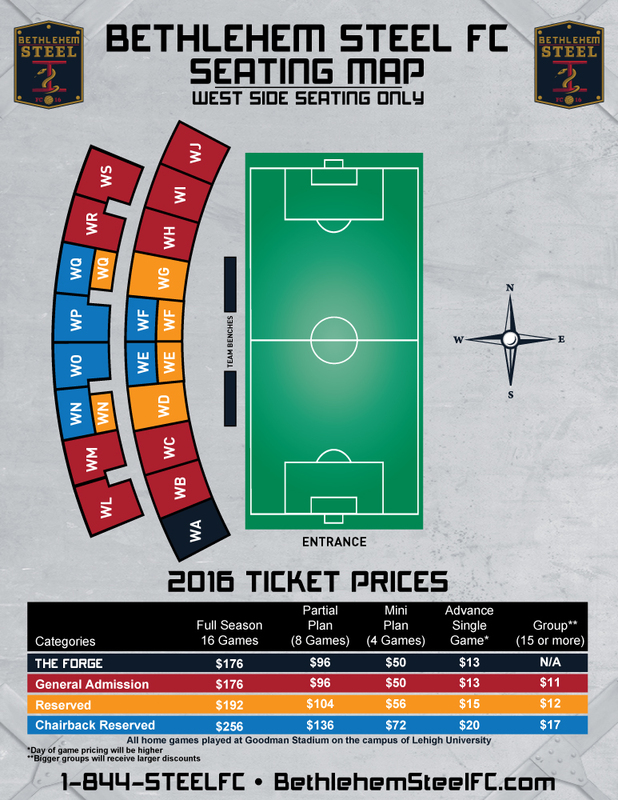 Steel FC merchandise will be available behind section WA (“The Forge”). The game will be broadcast live, locally, on Service Electric TV2. The game will also be available on YouTube HERE. Here’s a “Match Preview” from our friends at The Brotherly Game. A look at attendance, with some historical perspective, by der Fussballzuschauer. Some roster analysis, by der Fussballzuschauer. The Steel FC will head out to Red Bulls II next Sunday, before returning home on Sunday 4/17 for the Richmond Kickers at 3PM at Goodman Stadium.